Notre suite est située au 18ème étage des tours Peachtree. Nous sommes situés au coin de Peachtree Street et Baker, en face du Hyatt Regency, à trois rues du parc olympique Centennial. Notre condo a 600 pieds carrés d'espace de vie, salon complet, chambre séparée, cuisine approvisionnée, terrasse entièrement blindée, salle de bains rénovée avec draps, serviettes et couvertures Condo a internet, WiFi et télévision à écran plat HD. Notre bâtiment dispose de sécurité 24x7 et concierge. Il y a un lit queen dans la chambre et un canapé-lit queen dans le salon. S'il vous plaît gardez à l'esprit que les dormeurs sont parfaits pour des logements supplémentaires, cependant, ils ne sont pas l'équivalent d'un lit. Nous avons acheté l'un des modèles les plus confortables d'IKEA, mais un dormeur est un dormeur. Nous sommes à un pâté de maison de la gare de MARTA 'Peachtree Center'. Atlanta est bien desservie par Lyft et Uber. Nous sommes réputés pour la circulation et recommandons vivement de laisser la voiture à la maison. Great location, wonderful open kitchen. Michael was very helpful. Would definitely book again. Great location, clean, affordable and spacious. However, it is outdated and a few things are broken. Great , comfortable stay in Atlanta! We really enjoyed staying in condo 18-n. Loved having a comfortable, clean place to stay while staying in Atlanta. Especially loved having a screened balcony to use in the morning to have coffee and enjoy the view of the city.Also , the kitchen made it so accommodating and feel like home away from home. Mr.komanski was always very accessible with just a phone call away. I appreciated his attention to getting back to us and willingness to make our stay great! Will be back to stay when in Atlanta!! The stay went well. The apartment is centrally located and the stay was happily uneventful. Everything was clean, and apartment was well furnished. 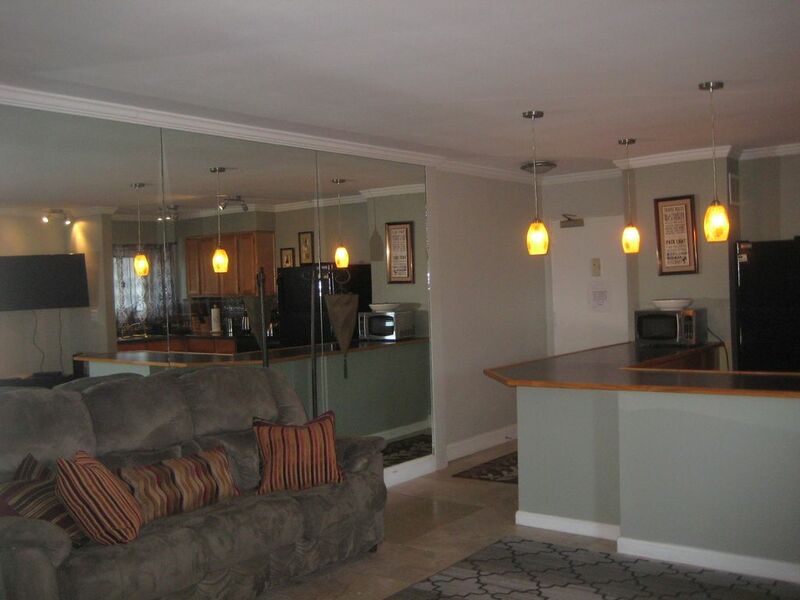 This is an appropriately furnished unit in a safe building, great location. Sheets and towels were fresh and clean. The kitchen however needs a deep clean. Dishes in the cabinet were grimy, and I found a dead cockroach smashed against a plate. I washed all dishes thoroughly prior to using. Brief message from our property manager… Peachtree Towers in a residential building, subject to evening noise restrictions. This simply means being a good neighbor and keeping noise down to reasonable levels after 10pm. We have a great unit for business & sightseeing. If you are planning on hosting an event, we recommend the Days Inn or Best Western for your party.